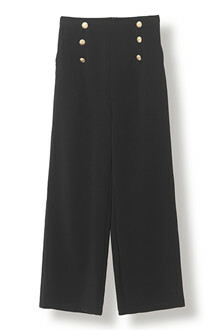 High waisted pants with wide legs. 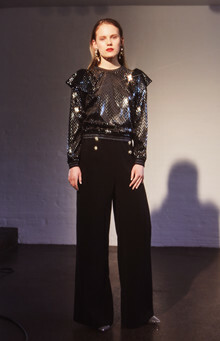 The pants have pockets and large goldbuttons in the front and a concealed zip closure in the back. Style with our Ezo blazer for a maskuline, but modern look.